Healthy Living: Burn those Calories! Ola! I found a new way of killing the time. Jogging. ^_^Spending a lot of time sleeping is very unhealthy and I regret to admit that I'm one of those sleepyheads.So I decided to engage in healthy living. 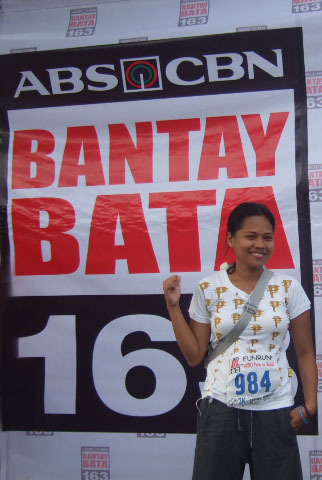 Also, I joined the 8th Annual Fun Run for a Cause with Bantay Bata 163 and Davao Sunday Runners last November 28. It was actually my first time to participate in this kind of event. I'm not sure if I could make it on the 5K run so I chose to run on 3k. Sounds like a kid category huh. Consequently, I burned a lot of calories and helped the children from Bantay Bata 163. So, how was your adgitize?